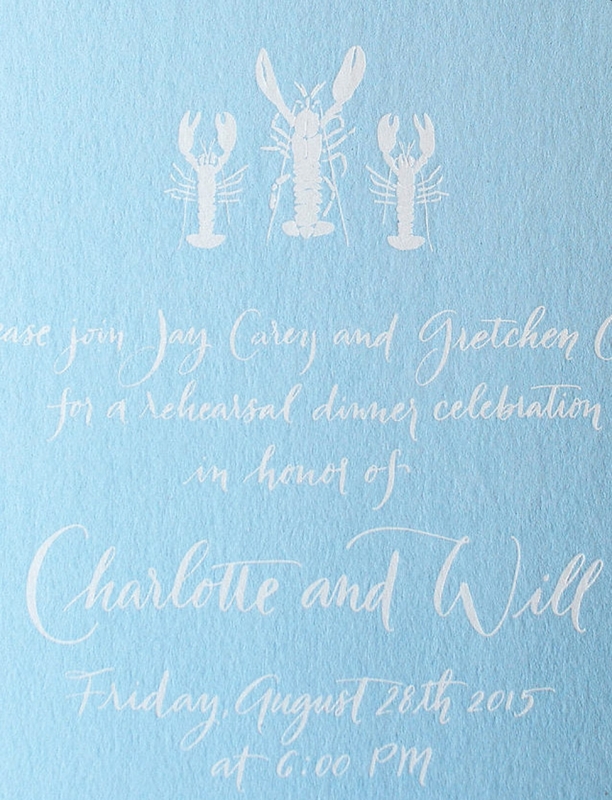 Little lobsters on everything please! 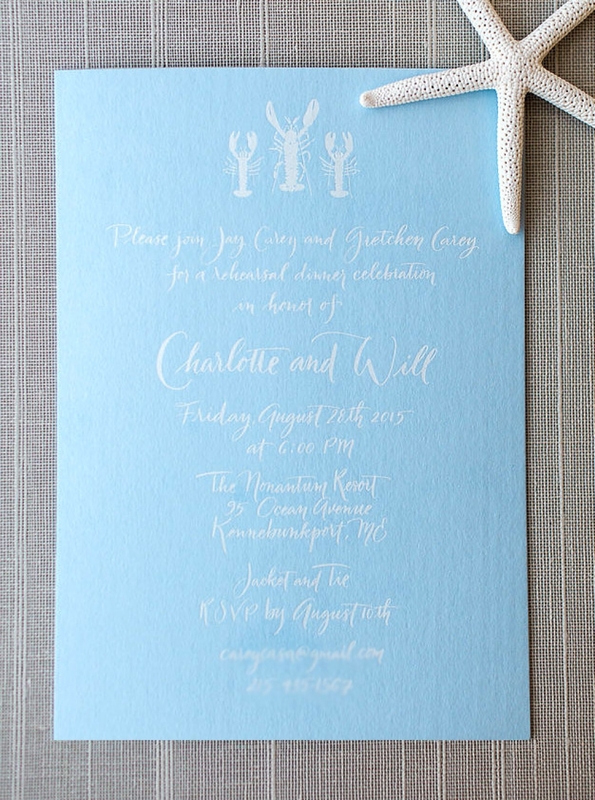 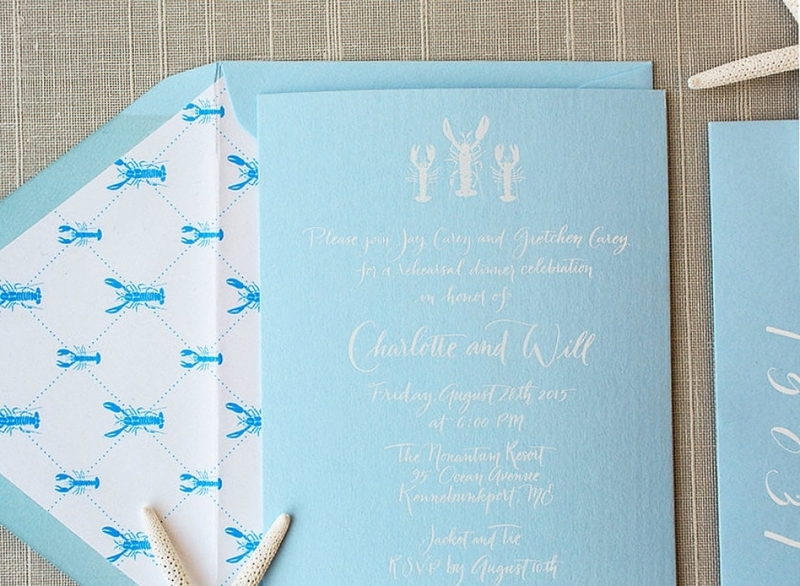 We loved getting to illustrate the charming lobster motif for this Kennebunkport celebration. White foil text printed on pale blue paper is a color combination fit for several occasions + this rehearsal dinner was certainly one of them! 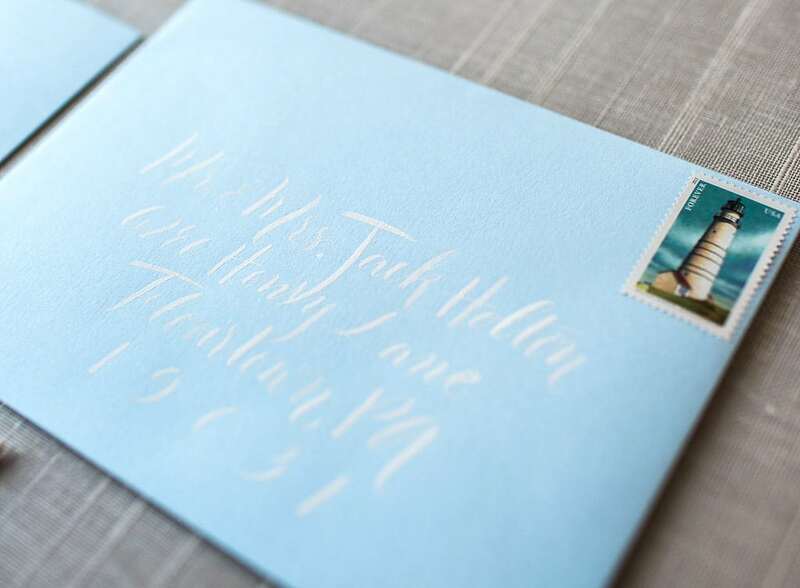 Custom envelopes liners + white address calligraphy were the perfect finishing touches.